The earliest reference to this lake seems to be surveyor James McEvoy’s report of 1898, where he stated that “there is said to be a lake on this stream about six miles up.” The stream he referred to is the Robson River. 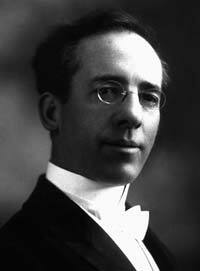 George Rex Boyer Kinney (1872-1961) became interested in climbing while serving as a minister of the Methodist Church in Banff and Field. He accompanied A. C. Coleman on his unsuccessful trips to Mount Robson in 1907 and 1908. Kinney returned alone in July 1909, met Donald Phillips near Jasper, and travelled with him through the Yellowhead Pass and the Moose River valley to Mount Robson. After being repelled several times by weather, they reached what Kinney reported to be the peak of Mount Robson. Phillips later stated that he and Kinney had not ascended a final 50-foot dome of snow, and official credit for climbing the highest peak in the Canadian Rockies goes to Conrad Kain, William Foster and Albert MacCarthy. Kinney’s 1909 attempt on Mount Robson was the climax of his climbing career. During a short period of fame he was invited to lecture on his achievement before the Appalachian Club in Boston, the National Geographic Society in Washington, D.C., and the American Museum of Natural History in New York. After the 1913 Alpine Club of Canada camp at Mount Robson, during which Phillips made his recantation, Kinney faded from the Canadian alpine scene. During World War I he served overseas as a stretcher bearer, and in his off-duty hours he toured the front lines lecturing on the Canadian Rockies. On leave in England, he lectured to the Royal Geographical Society in London and was made a fellow of the Society. After the war he continued his ministry, which for many years took him to isolated logging camps and fishing villages along the west coast of Vancouver Island. During this time he explored and climbed the Comox Glacier. Kinney was a pioneer in alpine photography. He died in Victoria.